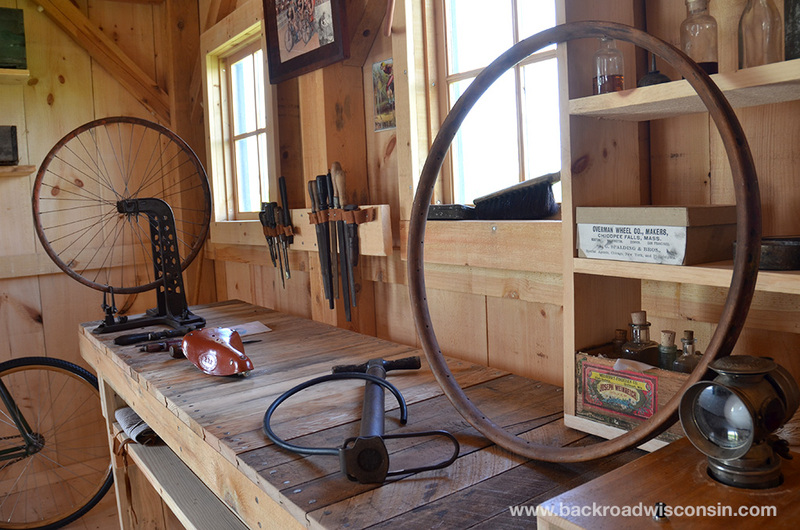 One of the new exhibits for 2014 at Old World Wisconsin in Eagle, WI takes us back to the 1890’s- the golden age of the bicycle. At the end of the 19th century, bikes were all the rage. The automobile was still a curiosity and bicycles offered a personal transportation option different from the horse and buggy. Wisconsin was a perfect spot for the growth of the bicycle. The state had a growing network of roads established to haul milk from area farms to local cheese factories. Soon bicycle manufacturers popped up all and bicycle clubs sprang to life all over the state. The Catch Wheel Fever exhibit at Old World Wisconsin strives to catch the excitement and spirit of the early bicycle movement. Hop aboard tricycles and bicycles replicated from the era. Take a spin around the twists and turns of the bicycle track. Tinker at the workbench in a simulated 1890s bicycle repair shop. Explore period road maps for cyclists. 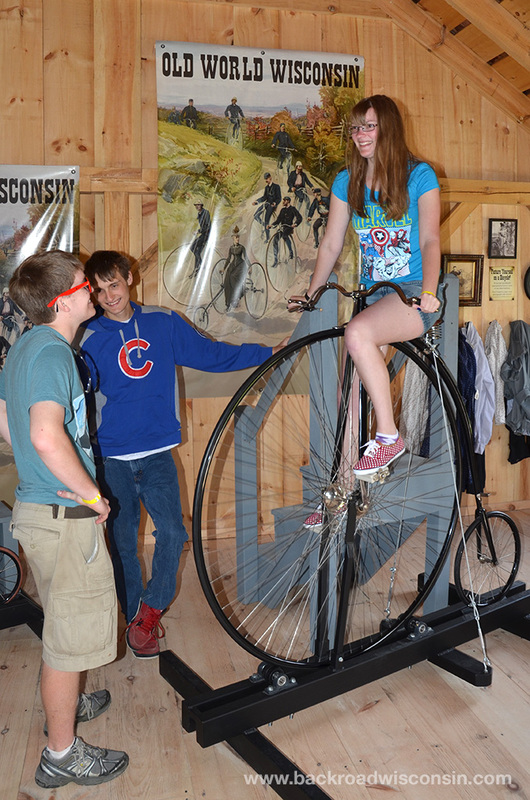 Examine an original 1890s “safety bicycle” manufactured in Kenosha. Is it is easy as it looks? Our family spent a day Old World Wisconsin and thoroughly enjoyed the exhibit. The replica bicycles and tricycles are fun to operate, but do take a bit of skill as my daughter found out. Watch more in this video clip. Old World Wisconsin is open May – October and is located just outside of Eagle, WI on Hwy 67.